In a handy dropper bottle, this product is a yeast-free, gluten-free, nut-free alternative to tamari and soya sauce. Brilliant for adding to stir-fries, or giving that extra kick to any savoury dish. 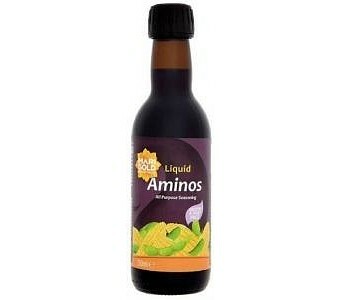 Contains 17 essential amino acids. Ingredients: Hydrolised Vegetable Protein (soya, maize), purified water.